His work, with a team of highly specialized physicians, shows a statistically significant reduction of deaths and more patients going home. I’ve always believed that South Texas is the last frontier in the United States. This, if compared to big cities like New York, Chicago or even Detroit, just to name a few. They’ve already had their economic boom a hundred years ago or more. They experienced the advances of medicine in almost all aspects as well. Now, South Texas is just beginning to experience its “boom”. In many ways, it remains at the forefront of medical technology and treatment procedures for the chronic diseases prevalent here and in the world. This article is the first part of a series on the history-making treatments that are available right here in the Valley. In medical procedures, the Rio Grande Valley has become distinguished because it has the best hospitals attracting doctors with impressive credentials. These physicians are specialized in important fields of medicine that are improving the health of entire communities. Their work and dedication in the field of neuroscience, have managed to reduce the number of deaths significantly. 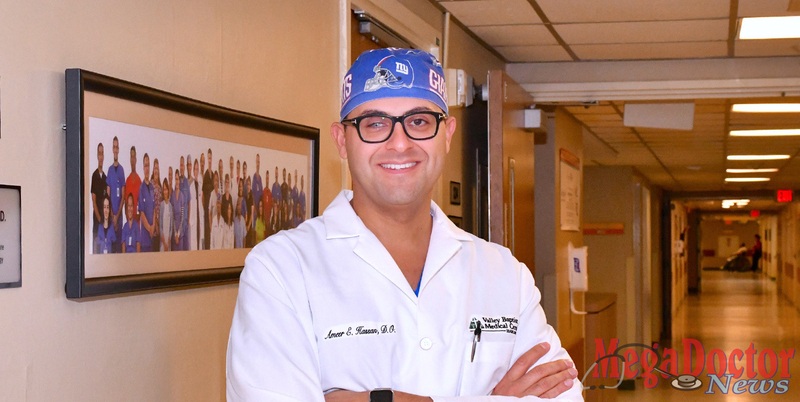 So much has been achieved that the world, in this field, has its eyes on Dr. Ameer E. Hassan, D.O., F.A.H.A., F.S.V.I.N., who is a triple board-certified neurologist specializing in stroke, neurocritical care, and endovascular surgical neuroradiology. It is important to note, that Dr. Hassan is part of a comprehensive team of very dedicated physicians who practice out of the Valley Baptist Medical Center in Harlingen, Texas. The other distinguished members of the team at Valley Baptist Neuroscience Institute are: his partner Dr. Wondwossen G. Tekle, the Director of Stroke and Neurocritical Care, Dr. Victoria A. Parada, a founding member of the Stroke team and a Neurohospitalist; Dr. Raza L. Khan, a Neurohospitalist; and Dr. Gloria P. Simms, the Outpatient Neurologist. 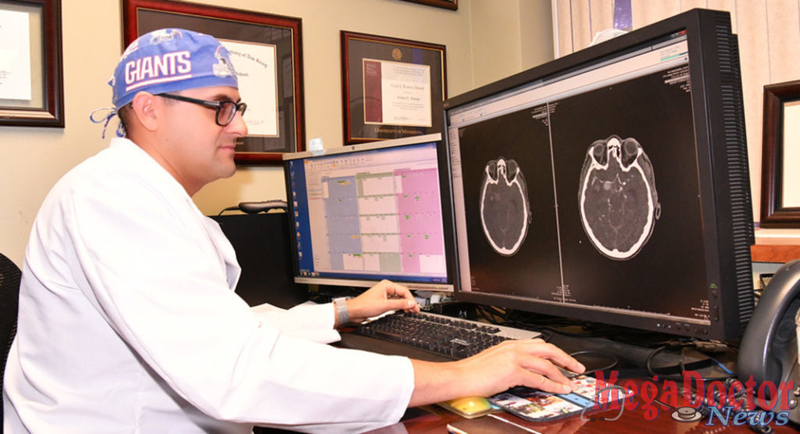 There is also a team of Nurse Practitioners, Critical Care physicians, Emergency Room staff, Neurosurgeons, and Researchers that all work very hard to make it the Comprehensive Stroke Center it is today. Often, we hear that someone had a stroke and either that he died or that he is in a vegetative state because of the after-effects of a stroke. Stroke is a disease, which presents as a blockage in a blood vessel carrying oxygen to and in the brain, or a blood vessel in the brain, which ruptures and bleeds into the surrounding tissue. In the past, for sure many of these patients had no hope of surviving because the specialized medical centers were many miles away to the north of us. It was just impossible to get a patient to a hospital in either Houston or Dallas fast enough. When a stroke happens, time is of the essence. Today is comforting to know that hospitals in the area have managed to bring a solution to a formidable challenge, the stroke. During an exclusive interview, Dr. Hassan told Mega Doctor News that they treat all stroke patients. The patient’s stroke could present with either a blood clot in a blood vessel causing weakness on one side and/or slurred speech. It could also be bleeding in the brain causing other symptoms and side effects. This is when Dr. Hassan and the team of physicians go to work focusing on saving the lives of patients. In most cases, when the patient arrived at the emergency room with enough time to be treated, the patient can be returned to his or her original state of health, previous to the stroke. Mostly, what they are doing is helping those patients either by taking out clots or treating the cause of the bleeding. As he says, that could be for example embolizing an aneurysm or an arteriovenous malformation. They also treat AVFs (arteriovenous fistulas), “we usually fill those with coils or glue to shut down that abnormal connection,” he said. He agrees that these procedures are not easy; they are always challenging. However, this Harlingen group of physicians has been able to make a positive difference in patient outcomes specifically in the lives of border Hispanics with the application of endovascular services and neurocritical care. “Yes, we can do a lot of these fancy procedures. But if we’re not taking care of the patients’ postop in the right ICU setting, then your outcomes are not going to be as good,” he stated. Dr. Hassan said that they have published a lot of data on stroke as well as subarachnoid hemorrhage (SAH), which is a life-threatening type of stroke. SAH is caused by bleeding into the space surrounding the brain. This past February, Dr. Hassan traveled to Hawaii and gave a presentation at the International Stroke Conference in Honolulu. His message was how significantly they have been able to reduce death and disability in the Valley. A far as the patients that get to go home, it is now at 45 percent versus 30 percent historically, again this is statistically significant. “So just by stabilizing aneurysms appropriately with endovascular treatment and taking care of them in an appropriate neurocritical care setting, we’ve been able to get more patients home and significantly fewer patients are dying,” he stated. The work that the Harlingen group of physicians has been doing now is known all over the world. Unfortunately, the prevalence of this disease will continue to shine here because of the high incidence of people dealing with hypertension, diabetes, and obesity. Dr. Hassan moved to the Valley in July 2012. He came with his wife Summer and one child born in Minneapolis. 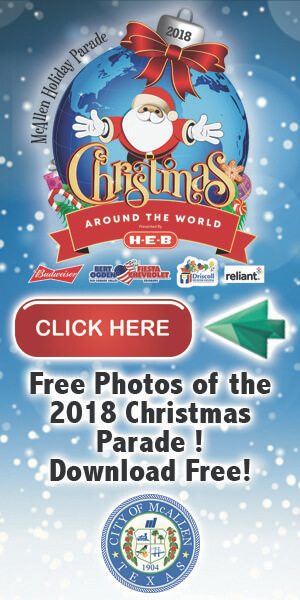 Their second child was born in Harlingen in 2013. Dr. Hassan is head of the Neuroscience Department and an Associate Professor of Neurology and Radiology at the University of Texas, School of Health Sciences and UTRGV. He serves as the Neuroscience department head, Director of Endovascular Surgical Neuroradiology and Clinical Neuroscience Research at the Valley Baptist Neuroscience Institute at Valley Baptist Medical Center. Mega Doctor News has known Dr. Hassan since he first arrived in 2012. We have followed him in some of the many projects that he works on. We believe that he will be known for building an internationally renowned research center in stroke in South Texas. He said that studies come to them from all over the planet. For the last three years, every major stroke study in the U.S. and internationally, they’ve called Valley Baptist and Dr. Hassan asking, would you like to be a part of our trial? Currently, they have seven trials active at Valley Baptist. “We have 13 in the pipeline; it’s just because there’s so much more work to be done; whether it’s on stroke secondary prevention or stroke patient with obstructive sleep apnea. There’s a National Institute of Health (NIH) study called Sleep Smart; it’s getting started very soon and we are excited about how it will help our patient population. There’s a new bio protectant that is part of a major U.S. Canadian trial called Escape NA1. There is another study about a new agent that might show neuroprotection and have some sort of antioxidant property and protect the brain from free radicals in the CHARM study,” said Dr. Hassan. This trial started just last month. He said that these studies, whether they’re NIH or drug company pharma funded, know that this group at Valley Baptist in Harlingen is a large volume stroke center doing quality research and caring very much for their patients. “Even though a challenge, the goal is to bring the greatest devices, and treatment medications for our patients in order for them to get better,” he said. Valley Baptist was 1 of only 2 hospitals in Texas (and 1 of 3 in the Midwest) in the DAWN study. It was that groundbreaking study, which had an impact on the guidelines released by the American Heart Association / American Stroke Association for the treatment of stroke up to 24 hours when patient met criteria. No other hospitals in the area can say that. Dr. Hassan is known and recognized for his research in stroke, advanced imaging, antiplatelet use, advanced aneurysm treatment, and carotid stenting. He has published over 100 papers and book chapters and is currently the Principal Investigator of seven clinical trials. He is the Chair of the American Academy of Neurology Endovascular Section. He was the previous chair of the South Texas Trauma Advisory Council –V Stroke Subcommittee. He is a board member of the Society of Vascular and Interventional Neurology (SVIN) and the American Heart/American Stroke Association – Southwest Affiliate. Dr. Ameer Hassan and the stroke specialists at Valley Baptist Neuroscience Institute are committed to providing the best care so, their patients can have a better chance at surviving stroke. Written by Roberto Hugo Gonzalez, the 2009 SBA Journalist of the Year Award Winner and a 2009 and 2012 Paul Harris Fellow Award recipient.